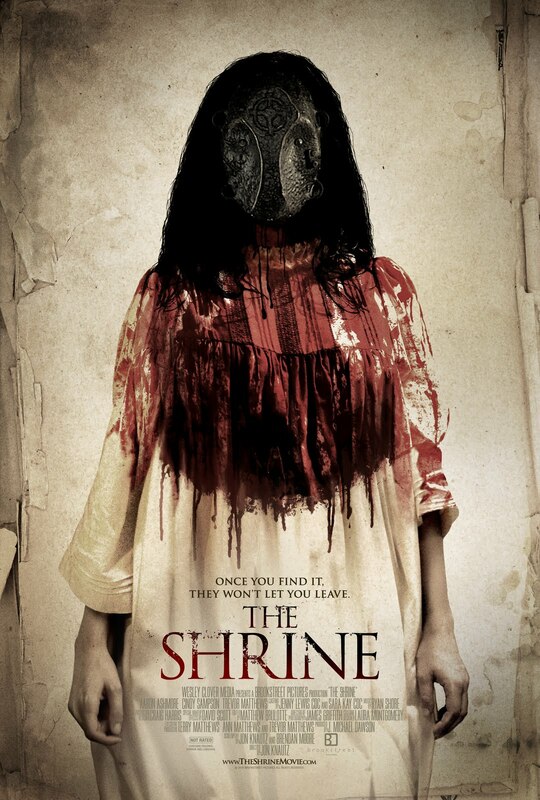 “The Shrine”: Another Reason to Avoid Demonic Statues! I am quite a fan of Jon Knautz’s Jack Brooks: Monster Slayer, I love his old school approach to the movie using all practical monster effects. It was awesome and I think that when he finally gets around to making a sequel it’s going to be even better than the first. So far he has only made two full length movies, his second being the recently released on dvd, “The Shrine” which I have been looking forward to for quite sometime now. It wasn’t quite worth the long wait but it was a damn good attempt. It had quite an intriguing story though and a nice twist ending I gotta admit.